We require 24 hours notice for all cancellations. If you do not cancel your appointment by speaking directly to a receptionist, we reserve the right to charge you in full. We can’t wait to tame your tresses. In order to avoid any scheduling tangles we ask that you please arrive 5 minutes prior to your appointment to allow for check-in. If you are 10 minutes late for your appointment, you may be subject to a dry style and/or we may need to reschedule your appointment. We want you to be tickled pink with your new purchase! We accept returns within 21 days for any damaged/malfunctioning tools or products. No returns will be accepted without proof of purchase. As our locations are all individually owned and operated, all items must be returned to the location of purchase. 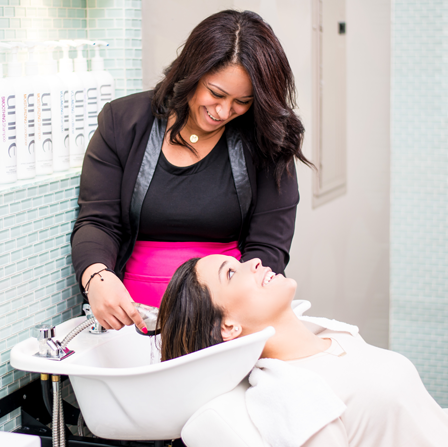 Blo Blow Dry Bar gift cards cannot be returned and should be treated like cash. Please note that all services, tabs (prepaid series) and memberships are non-refundable. All of our Sessions Stylists have completed Blo U(niversity) and have learned how to handle extensions with care. However, Blo Blow Dry Bar is not responsible for damaged or loose extensions as a result of a Blo service. Thank you for understanding! While we try to accommodate all stylist requests, we cannot guarantee you will be paired with a particular bloer. We’ll do our best – pinky swear! Want the low down on Mane Squeeze membership terms and conditions, click here.